Use for stripping paint to metal, shaping and sanding plastic filler. 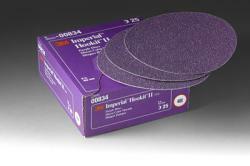 3M's fastest cutting, longest lasting abrasive for saving labor costs and improving quality. Suggested backup pad 05276.